Today’s families have less free time than ever, and the BSA helps them make the most of the fleeting time they have to positively affect the lives of their children. Now it’s time to make sure all of America does, too. 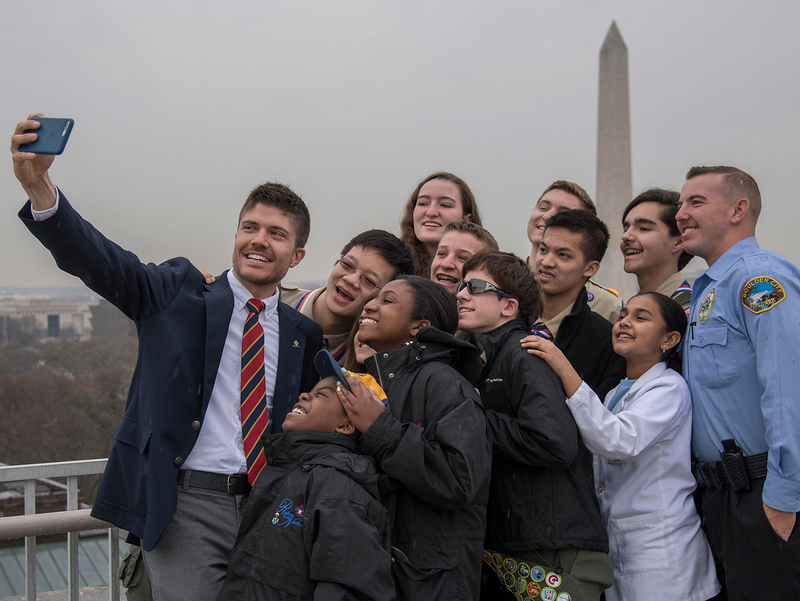 Today marks the launch of Build an Adventure, the Boy Scouts of America’s new national recruiting campaign, which helps parents understand that Scouting provides quality time and irreplaceable experiences for families pulled in a million directions by work, school, sports, church and home. Build an Adventure shares that message through fliers, billboards, posters, yard signs, Web banners, e-blasts, PSAs, print ads, door hangers, postcards, bookmarks, peer-to-peer cards and social media images. In other words: Councils have tools to reach families wherever they are. For my money, the inviting and aspirational imagery of the Build an Adventure campaign is the BSA’s best yet. The print and Web materials include compelling visuals and a simple but powerful message. The TV spots, which you can watch below, beat any Super Bowl ads I’ve seen. The campaign itself was designed for use in 2015, but in a nod to councils champing at the bit to use the new materials, the BSA released everything early for use this fall. They’re constantly pressured by the challenge to balance work and home. Even as they’re working harder than ever, it’s important to them to spend quality time with their children. Parents are increasingly concerned that screen time is robbing their kids of real-world experiences. Scouting provides those experiences. For parents, every minute with their kids matters so they want to make the best decisions on how their children’s time is spent outside of school. Making Scouting part of children’s lives gives them the chance to participate in a wide variety of fun adventures that parents are unlikely to provide on their own for their children on a routine basis. Find everything related to Build an Adventure, including campaign guidelines, right here. And learn more over at Scouting Newsroom.